Yes! 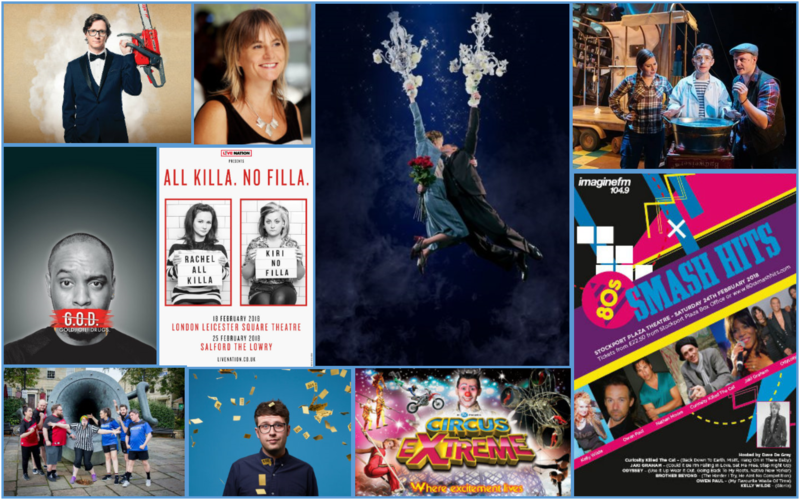 Friday is finally here and Manchester is gearing up for another big weekend of comedy, music, theatre and much more. If you’re still making plans, take a look at our blog’s pick of weekend event for inspiration – it’s got everything from a madcap adaptation of a Roald Dahl classic to a podcast about serial killers. 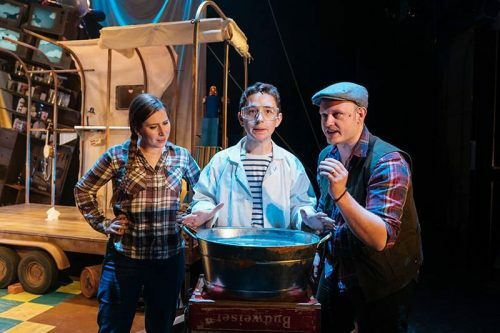 The half term holidays are almost at an end, but there’s still time to squeeze in a frothbuggling family treat in the form of a visit to Salford Quays to see George’s Marvellous Medicine at The Lowry. This brand-new adaptation of Roald Dahl‘s much-loved book has had audience howling with laughter all week. 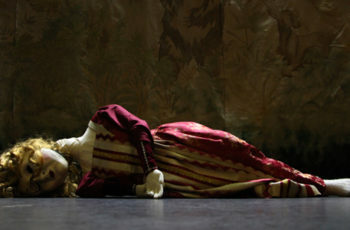 The show, which sees young hero George attempt to create a brand new medicine to cure his Grandmother of her cruelty, has proved so popular that The Lowry have added an extra date – so don’t miss out on tickets for Friday evening, Saturday morning or Saturday afternoon. 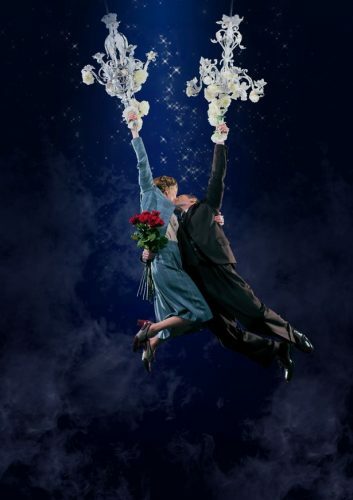 Another huge theatrical hit for The Lowry has been Kneehigh Theatre’s stage adaptation of Noel Coward’s classic film Brief Encounter. Hailed as “a truly memorable theatrical production” by Manchester Evening News and “truly stunning in every way” by North West End, the show has garnered numerous five star reviews over the past week. 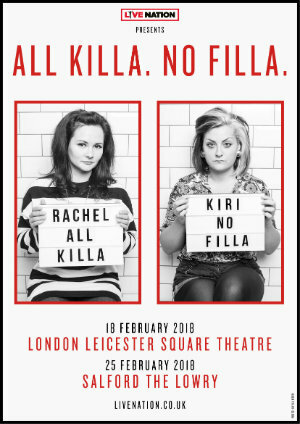 The last Salford performances before it heads to the West End are on Friday and Saturday (matinee and evening). If you’re in need of a good laugh, there’s a great selection of comedy to choose from. Rising star Chris Washington brings his Northern charm to The Lowry Studio on Friday evening whilst TV regular Dane Baptiste explores our worldwide pursuit of wealth, power and pleasure on the same stage 24 hours later. 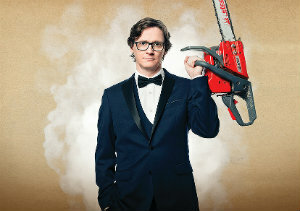 Much-loved Irish stand-up Ed Byrne brings his new tour show to The Lowry on Sunday evening, as does Edinburgh Comedy Award winner John Robins (who has sold out this time but returns on 24th March). Meanwhile, over in Ramsbottom, the ComedySportz UK team are back for another unique Saturday evening of family-friendly improvised tomfoolery. Fans of 80s music are in for a real treat as six stars of the decade descend on the legendary Stockport Plaza for the third annual 80s Smash Hits night. The likes of Jaki Graham, Odyssey, Brother Beyond, Owen Paul, Kelly Wilde and Curiosity Killed the Cat will all contribute this massive night of dancing and nostalgia which gets better ever year. A more relaxed music experience is available on Friday evening at The Cinnamon Club in Altrincham as post-bop piano improviser and prolific composer Andrea Vicari presents her new Piano trio project. For something a little different try Nick Sharratt’s Big Draw at The Lowry on Sunday, acclaimed children’s writer and illustrator will show you how to draw his best-loved characters, or Circus Extreme over at Event City, one of the most amazing spectacles ever to have visited Manchester.